There are a million decisions you have to make as an author. What do I write next? Indie or trad-pub? Agent or no? Do I go to this conference or invest in how-to books? Should I join a writerly organization? Etc. When you have to make these decisions, the plan will help you see which answer will support your goals. With your Mission Statement, you have a handle on your core values. The Five Year Plan is a concrete action plan that lines up with those values. This is one-sheet plan that, at a glance, says where you’re headed. (I’ve also made a full-scale Business Plan—see the end of the chapter). Do what works for you, but setting down some basic goals and how you expect to achieve them is the core of any business. And indie publishing is a business, so you need to treat it that way. I’ll use my plans as examples, so you can see the evolution from the beginning to present. This evolution shows how it’s important to consider not just financial but creative aspects to your plans and how changing the plan isn’t failure… it’s learning. · Do you just want legions of readers? · Do you have particular kind of story you need to tell? · Do you dream of winning awards? · Do you want to be on the NY Times Bestseller list, and nothing else will do? · Do you want to earn a living with your writing? You don’t have to have just one, and these will evolve over time. I make no judgment about your goals, except that they should line up with your Core Values. This is critical: be honest with yourself. Don’t spend a bunch of time chasing a goal that, once you achieve it, isn’t what you really wanted after all. To leverage my background in science, engineering, politics and life, to create compelling stories and characters that pose moral questions to young readers and make them think. To have every story be an improvement in craft. To be a leader and member of a supportive writing community, through blogs, critiques, and social networking. To create a body of novel length works that reaches a large number of young readers, to provide the greatest impact on young lives. To make enough money from writing that it would be equivalent to working as a part-time engineer. For me, my family’s financial plans always included me going back to work once the kids were in school. I had assumed that would be part-time engineering, flexible around my kids’ schedules, and that money would be used to fund our three boy’s college tuition. If I was going to accomplish all the things in my Mission Statement, I would need this writing business to not just support itself, but grow into something that could replace that missing income. Something that could basically send my kids to college. 5 year goal: To make enough money from writing that it would be equivalent to working as a part-time engineer. Measure: $29,250/yr net income ($50k salary pro rated to part-time), before taxes. Cost to launch an ebook ~$1000, so first 500 ebooks go against costs. Assume launch 3 books in a year, so first 1500 ebook sales go to expenses. $30k income is equivalent to 15,000 ebook sales/yr at $2/book profit. Need to sell 15,000+1,500(costs) = 16,500 total. 1 year goal: To self-publish a YA trilogy (3 ebooks) that will start to build my fan base toward that 16k sales number. Target: hit the top 100 of my genre on Amazon’s SF/F bestseller list (Kindle store). This book goal: To launch the book, start building the base and build excitement for the series. Second Target: break 1,000 sales on Open Minds in the first 6 months. See that modest first target (break even with 500 sales)? The reason to set a low first target is: 1) hopefully you can reach it, and 2) if you don’t, then early on, you can start to reformulate your Marketing Plan (see My, That’s a Beautiful Backpack). Or recalibrate your goals. Note that I didn’t expect to reach my five year goal in the first year. I knew it would take time to build a fanbase. I was in this for the long-haul. I wasn’t planning on quitting if I didn’t hit the NY Times bestseller list in the first year. I was planning on breaking even and hoping to break 1000 sales and hit the top 100 in SF/F at some point. That entire plan fit on one sheet and helped guide my first year. And because I was both lucky and worked hard, I managed to exceed my first year goals. In fact, I actually did meet my Five Year Goal in the first year. By the end of the first year, I had sold 10,000 copies of my first novel and was making enough money to replace that part-time engineering job (that I won’t have to take now). So I recalibrated my Five Year target to fund my three boy’s entire college tuition. Sure, I might not make it, and I had more than five years to meet it, because my oldest was only 13. But that was the real target, at least financially. 1 year goal: Finish the Mindjack Trilogy and plan a future series. Establish the business end of being an indie author—get equipment (iMac) and skills (formatting, publishing team), business tracking systems, etc. That financial goal was substantially more aggressive—I had to not just hit the target once, but every year. Along the way, I discovered creativity was just as important as money (to me). Once you get past the how-do-I-format-this and how-do-I-price-this and what-the-heck-is-marketing-anyway questions, the real power of being indie starts to settle in. You realize that just because books have always been written a certain way, does not mean they have to be written that way. Rules you didn’t even realize your subconscious has laid hold of (book length) no longer restrict you. The euphoria of realizing you can write anything is quickly replace by a deluge of questions. What do I want to be writing in five years? What drives the length of a story? Where do I need to stretch myself as a writer? If there was no consideration for sales, what would I write? If sales were all that concerned me, what would I write? Do I continue to deliver stories that will build upon my prior works? Do I diversify and write something completely different? Does brand matter anymore in the digital age? Once again, having a your core values written down helps guide you with this. 1 year goal: To finish publishing the Mindjack Trilogy, including shorts/collection (Mindjack Origins) and live-action trailer. Stretch myself in my craft, branching out and experimenting with genre and form (length), while still building on the base built with Mindjack. Writing a 125k, nine-part serial on the fly in four months was definitely all those things. It was not in the schedule, but it was in the creative plan. In other words, Debt Collector aligned with my core values. But it wasn’t on the schedule, so I revised again. 1 year goal: Writing Debt Collector proved I could write faster than I believed possible (125k in 4 months). Reducing social media and focusing during creative time (as well as tracking my creative productivity) was key. I need to continue to push those boundaries. · Finish Faery Swap, Third Daughter, start Singularity, write second season of Debt Collector (basically increasing my speed is unlocking my ability to tackle more projects). · Work with a professional developmental editor to speed story process. · Continue to stretch myself in my craft by taking the Screenplay in a Year workshop with Kat Falls as well as the writing intensive in Minnesota with James Scott Bell. Revising your plans again and again isn’t a sign of weakness, in you or the plan. It’s a sign of strength that your goals can evolve with you, that you’re remaining flexible and open to change. Once again, having your core values written down helps to keep you grounded as your actual plans shift. The one-sheet plan can help you identify where you’re heading, but if you want to go full formalized business plans, there are many templates out there on the interwebs. This is one that I used. Details about business plus summary of Five Year Plan. A summary of current works and planned works for the next 5 years. Philosophy of pricing (including promotional pricing) as well as a listing of current prices, both print and digital. A summary of sales of current works in the past, plus expected revenues in the future. Observations about which books perform better/worse. A description of the production process (time to draft, critique partners, editors, other publishing team members), as well as a schedule for the coming years. Some understanding of who you’re reaching with your books. An analysis of what’s worked in the past and what new promotions will be explored in the future. Plans for a professional presence(s) on the web as well as author branding. Both Financial and Creative Five Year Plans, as well as Core Values and Goals. Executive summary of the business plan. Honestly, I think the one page is better, but do what works for you. Didn’t update the plan for 2014… I was too busy writing! 2014 was about increasing my productivity (I wrote 500k that year), finishing off some series (steampunk) and advancing others (Debt Collector), so I could launch a new series (Singularity) in 2015. I also focused on streamlining any extraneous work that didn’t directly contribute to my wordcount or my business bottom line. Things like using a professional developmental editor were becoming standard. I simplified my sale/business tracking, used a formatter, expanded into translations and audiobooks, all while staying open to innovative deals like anthologies, charity projects, and optioning some of my works for Virtual Reality with Immersive Entertainment. Oh, and I met my five year target of fully funding my three boys college education. After only two years. 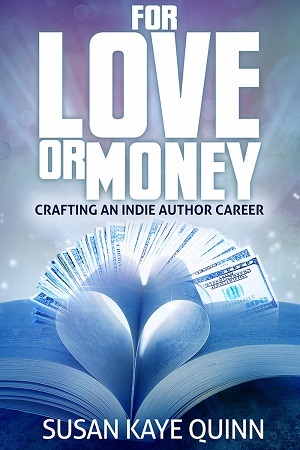 In 2014, I also launched my penname (see For Love or Money)… the penname didn’t help with my financial goals, because the money for that goes to my “special project,” but it sharpened my need to become more productive (balancing two pennames and still write in both isn’t easy), as well as broadened my knowledge of the industry, different genres, the market, and marketing in general. For SKQ: To keep making enough money with my works to justify the time spent writing stories I love. For PenName: To hit a financial goal for my “special cause” that will make a significant contribution. For SKQ: To write stories I love, even if they don’t make money. To continue to push myself in craft (which this year means experimenting with a more literary style for some of my short stories). I have an agent now, so submitting to traditional publishers is an option, but not one I’m interested in (my agent mainly tries to sell audio and foreign rights). I may submit a literary short story to an SF magazine. I may not. But my primary goal remains to build that body of SKQ works: Singularity, another trilogy of Mindjack, three more seasons of Debt Collector… and who knows, beyond that. For PenName: To continue to chase the market, trying new things, finding ways to maximize income from my penname while still writing stories I enjoy. Be as creative as I can within the confines of market demands. Enjoy flexing my character-development muscles as I write romance. Continue to reliably publish and grow a fanbase in this genre. Balancing two pennames and LIFE is my biggest challenge now. In the pursuit of that, I’ve transformed my process so that I dictate the majority of my works, which allows me to produce more content while also being healthier (i.e. my body can move while I’m creating, so that I’m not glued to the chair). Unlocking greater productivity allows me to reach both my financial and creative goals by simply creating more while still having a life outside of my work. This is a job I hope to keep until I die (happy) at the keyboard, so developing creative endurance and life balance is key. Making a plan is no guarantee of success (remember my first target? breaking even?). But it puts you squarely in the driver’s seat of your own future. Which brings me to thoughts of the future. 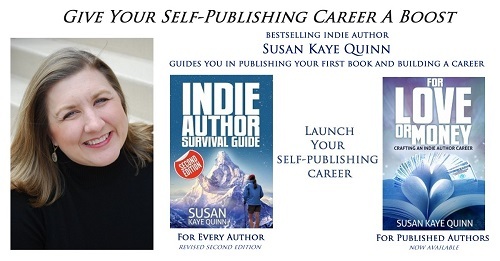 A whole generation of writers are making their careers solely as indie-published authors. Those authors are making their own rules (about storytelling, writing, and careers), and they are fundamentally different from any other generation of authors in the past. 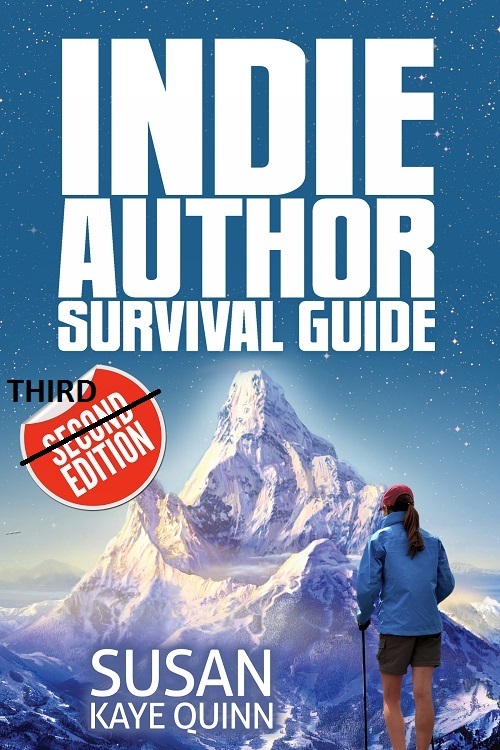 This crucible of indie publishing isn’t just changing the industry, it’s changing the writers. Be bold! Make No Small Plans! Which brings me to the next section, Taking the Road Less Traveled.